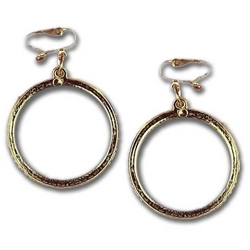 One pair of gold metal clip-on hoop earrings. Great for dressing up as a gypsy or even a pirate. Can be used for both. They clip on so they are easy to wear and take on and off.